All sales are as-is-where-is and sold without warranty expressed or implied. All items listed on laser pages are used at buyers own risk and Surplus Sales or its affiliates will not be held liable. Two pieces form a single wedge when notches mate. Some ink, glue/epoxy, and small chips on edges. 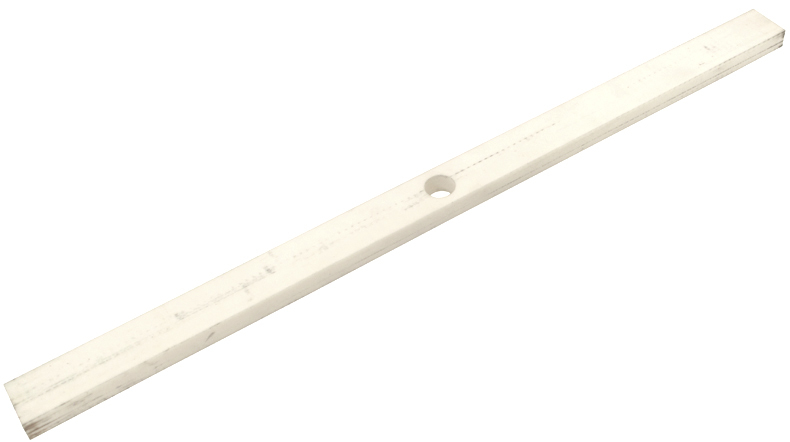 Single alumina wedge piece. Peak centers base - no 90° angles. Dimensions: 1" x 0.93" base. 10-5/8" long x 1" wide tapers from 0.93" at base to 0.058" at peak. 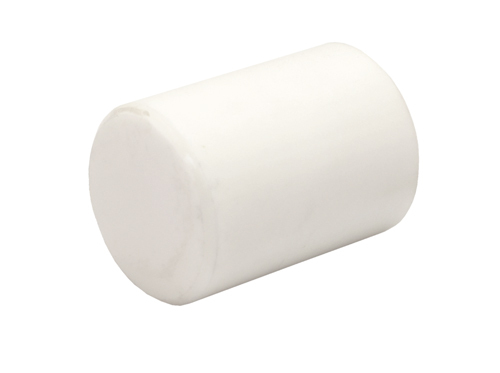 Single alumina wedge piece. Like LZR-9300093 (left), peak centers base at other end. Some glue/epoxy on part. Single alumina wedge piece. Height peaks in center. Some glue/epoxy on part. 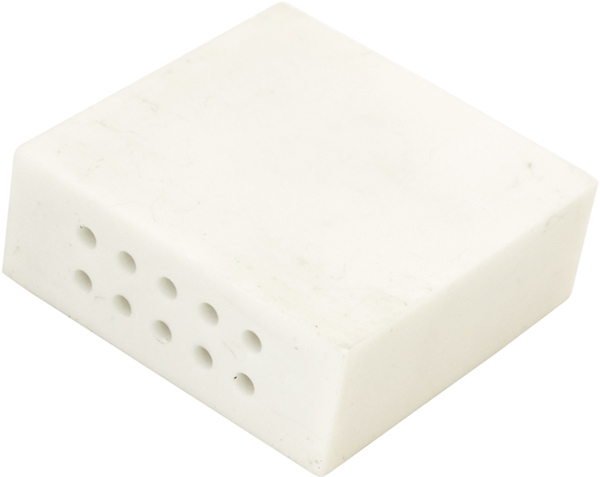 Single alumina block with 10 through holes. Hole pattern centered within width and height. 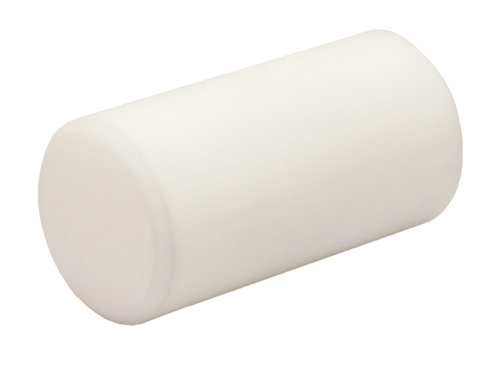 Single alumina bar. Has 45° bevel on 6 edges. 5 sides flat finish, 1 end side left rough. Sealed in bag. 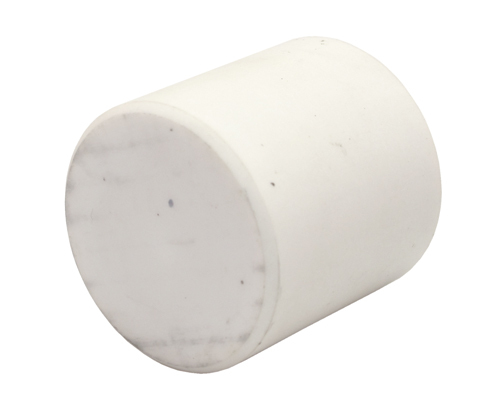 Single alumina block. Has 45° bevel on 6 edges. 5 sides flat finish, 1 end side left rough. 0.07"W x 0.1" deep rounded bottom slot running through center lengthwise on one side. Sealed in bag. Two slots run parallel to length. Some discoloration from exposure to rust. Here is an idea as to what Q Source was building: they started with LZR-87005-99 (below, left) and added a U shaped aluminum energizing bar with a 0.5"W x 0.1"H strip of ceramic in the center. Then they added two LZR-8700014 (table at bottom) rods leaving a 0.05" gap to the ceramic strip / aluminum energizing bar. All appears to be glued with some kind of ceramic epoxy. The bar is exposed through the top hole of the LZR-87005-99. The ceramics were likely used to dissipate the heat of the plasma; the energizing rails used to create a high voltage capacitor within the laser chamber. 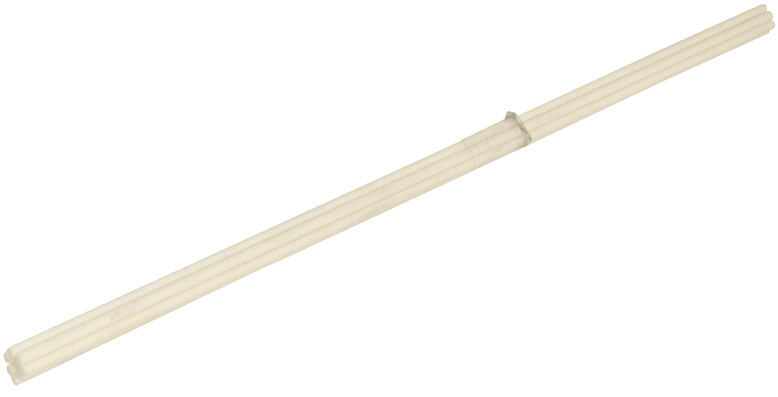 Single alumina rod. 0.07" x 0.065" routed edge running entire length. 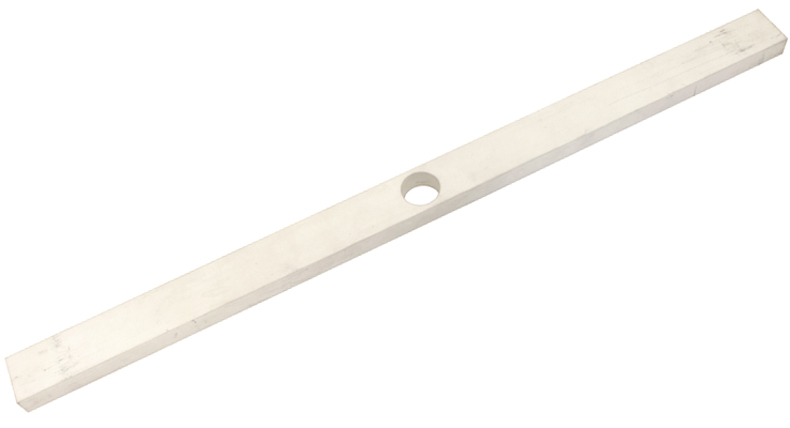 Single alumina bar. 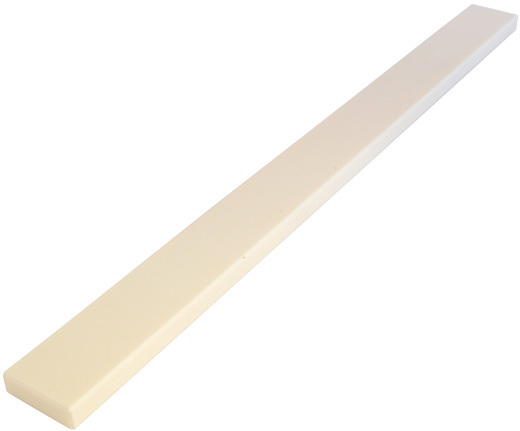 Lengthwise slot 0.62" wide x 0.19" deep. 0.75" diameter hole runs 0.48" deep from opposite side of slot to the slot, then becomes square edged with walls of slot. 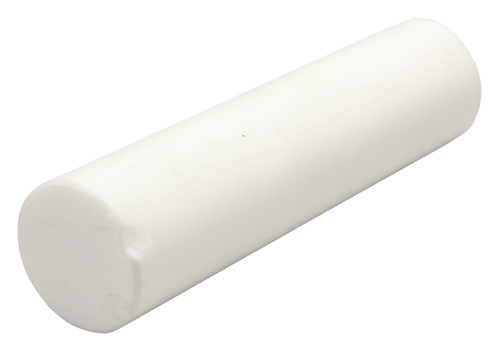 Single alumina bar. 0.75" hole through center. 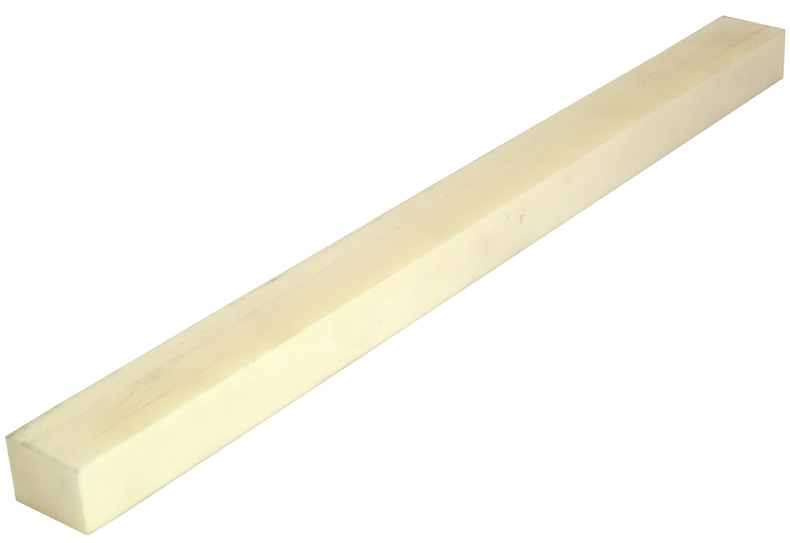 Single alumina bar. 1" x 1" x 0.25" H notch at one end. 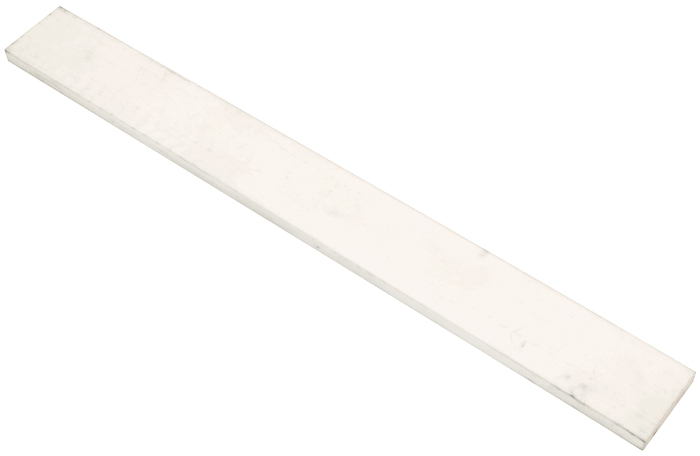 Single alumina bar. 0.5" diameter hole slightly off center lengthwise. Hole center is 7.5" from one end and about 7.44" from the other. Side 2: Has concentric holes which are centered in each direction. Outer hole is 0.75" in diameter and 0.312" deep. Inner hole is 0.375" in diameter and continues another 0.188" deeper to join the 0.125" slot from side 1. Neither hole passses all the way through. The holes and slot were likely used to energize the center rail of the laser housing, via a metal bar. See LZR-81000-RA or RB (below). 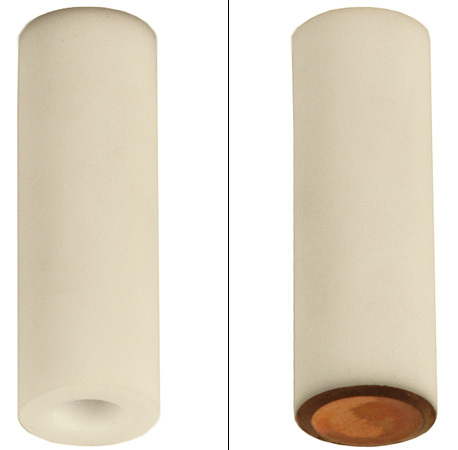 High-alumina ceramic rods. Quantity of 8 rods. McMaster-Carr P/N: 87065K42. 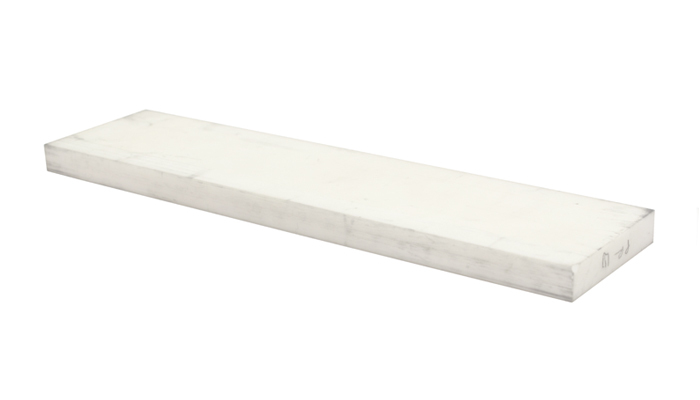 Alumina bar with aluminum energizing rail embedded. Possibly the first revision. 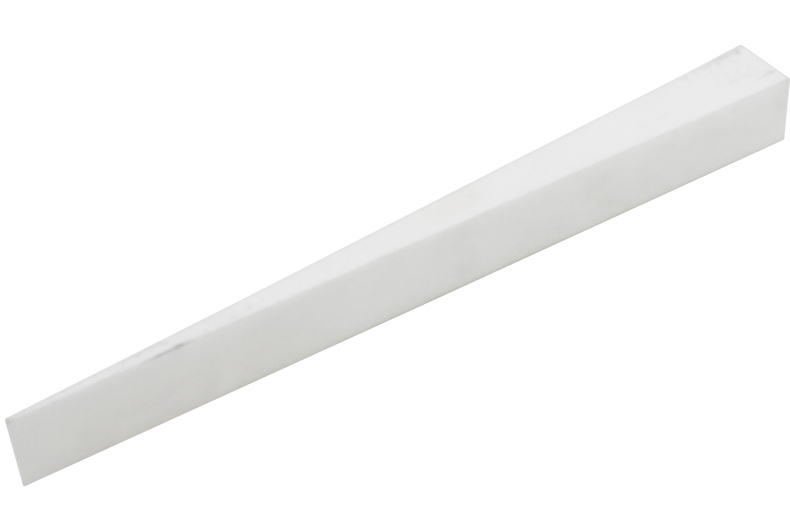 An aluminum "T" bar is embedded in the center length of the alumina ceramic with top petruding through a hole. The underside of the bar runs a slot which has been filled with insulation. 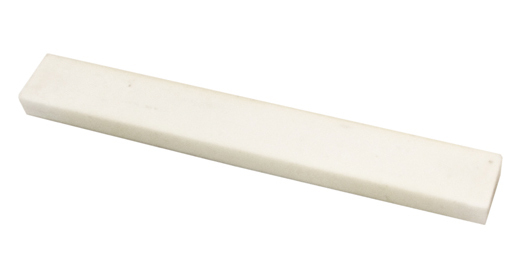 Alumina bar with aluminum energizing rail embedded. Possibly the second revision, see LZR-81000-RA (left). This time the bar runs along the top and the hole on the underside is filled. High-alumina ceramic rods. Quantity of 8 rods. McMaster-Carr P/N: 87175K77. Dimensions: 0.125" diameter x 18"L, double bore 0.04" I.D. 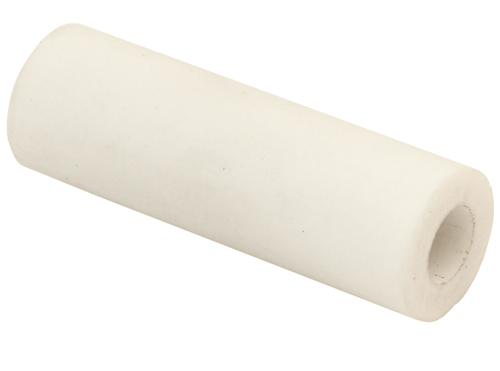 Coors Tek ceramic rods. Alumina 99.5% (AD-995). Round, 0.06" diameter. Alumina square rods. Quantity of 6 rods. McMaster-Carr P/N: 87125K62. LZR-8120050 pic 1.5"L x 0.5"DIA Cylinder Single bore 0.25"I.D. LZR-8120055C pic 1.5"L x 0.5"DIA Cylinder Single bore 0.25"I.D.